The ICM 3000 offers a cost-efficient solution for professional users as well as an entry level for starters. Highest Flexibility. 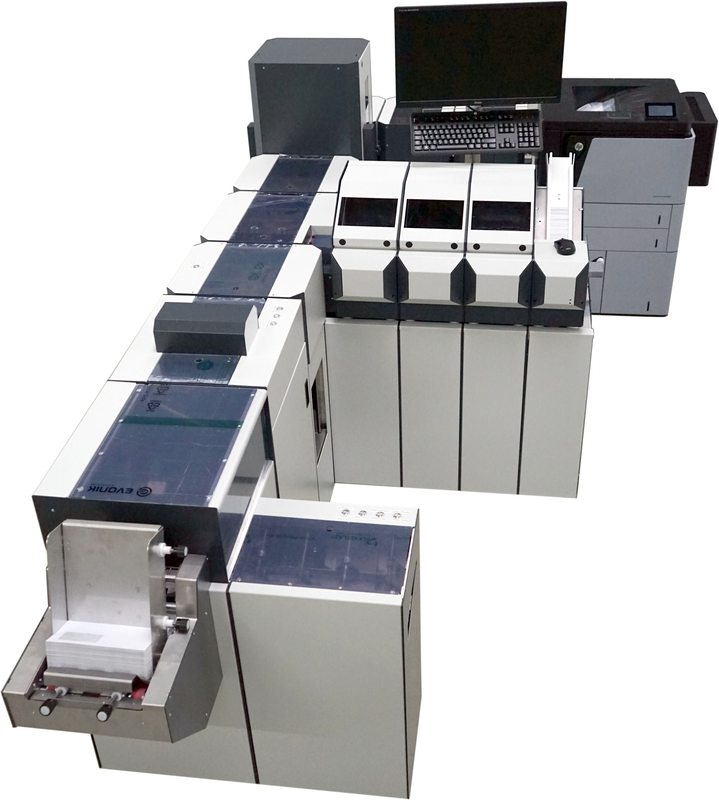 Thanks to the modular design of the ICS Inserter series, the ICM-3000 offers a never seen flexibility and functionality in the mid-range card mailing segment. Its costs/performance ratio makes it to one of the most valuable systems world-wide. High Productivity. This powerful and productive system processes up to 3.000 cards per hour. An additional labeling module can cover individual PIN/PUK areas with a scratch-off security label. Folding Technologies. Combined with one of the most common card folders, the ICM-3000 provides a variety of different folding technologies (C-fold, Z-Fold and half-fold) and additional inserts in different formats. High Material Capacities. Higher capacities in terms of additional card feeders, 15.000 adhesive labels per roll and envelope conveyors allowing a minimum of operator assistance during full production. Exchangeable card input magazines guarantee a continuous ongoing process. Price/Performance. Looking at price, performance, functionality and flexibility, the ICM-3000 offers an outstanding return of investment and capital spending protection.